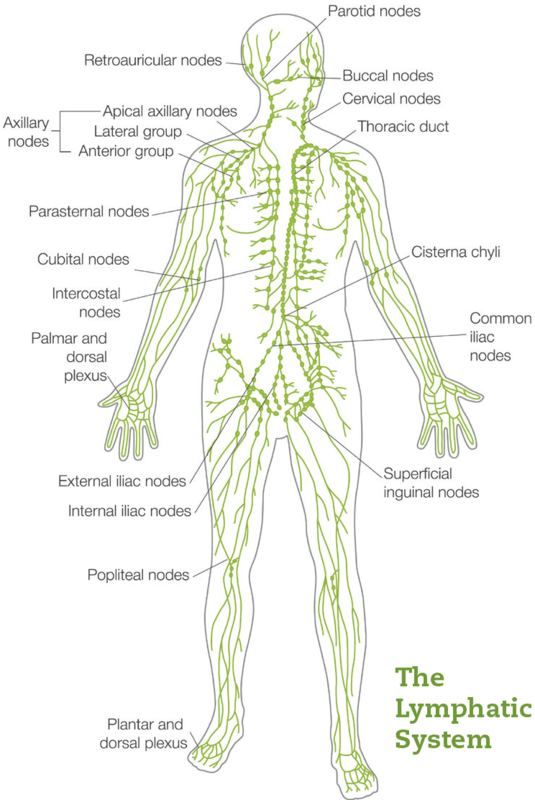 The lymphatic system is a network of vessels that transports lymph, a protein-rich fluid, back to the blood. Lymphedema is a chronic swelling, due to an accumulation of this lymph fluid in the soft tissue. The buildup of stagnant fluid causes inflammation of the tissue, a mild to severe increase in limb girth, a decrease in tissue healing ability, and a high susceptibility to infections or cellulitis in the affected limb. common type, is a result of lymph vessel damage or lymph node removal during surgery or radiation therapy. It may also occur after injury, scarring, trauma, or infection of the lymphatic system. 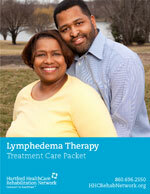 Lymphedema is caused when there is damage or blockage of the lymphatic system. This blockage can be caused by infection, cancer, scar tissue from radiation therapy, trauma or surgery, or surgical removal of the lymph nodes. Obesity, lack of movement, and venous disease are also common causes of lymphedema. Lymphedema occurs when the lymph vessels are no longer able to carry all of the lymph fluid out of the affected body part and the fluid builds up in the tissue, causing swelling and inflammation. and improves the appearance and functional use of the extremity. Short stretch bandages are used to prevent the re-accumulation of evacuated lymph fluid and to break up deposits of accumulated scar and connective tissue. During the active phase of treatment, the bandages stay in place until the next MLD session begins. During the maintenance phase of therapy, the client is encouraged to wear the bandages while sleeping. Clients are instructed in self-bandaging, daily use of compression garments, and exercise for the maintenance phase of therapy. 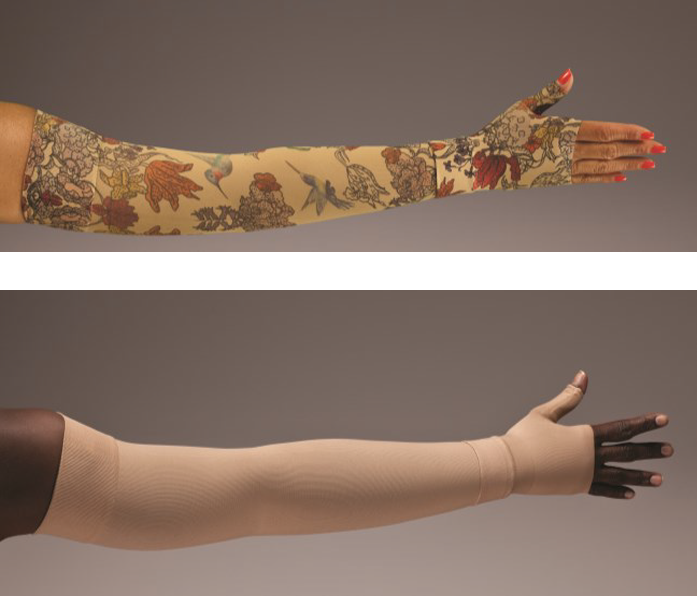 Clients are assisted in the purchase, care, and replacement of an appropriate compression garment. Regular follow up visits are scheduled to assess progress and to initiate compression garment replacement. The therapists at Hartford HealthCare Rehabilitation Network are highly trained, certified professionals in lymphedema management. We look forward to partnering with you to manage your lymphedema.